Taralyn joined StreetSquash Newark in 2013. She graduated from Morgan State University with a Bachelors of Science in Business Administration. While attending college, she worked with Baltimore SquashWise as the Squash Coordinator. Taralyn worked as a Case Planner for Lutheran Social Services of New York before joining StreetSquash Newark. 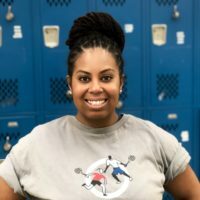 Taralyn is a proud StreetSquash Alum (’05).